Definitely a heart melting moment. So sweet to see them always loving each other. This was while we were out shopping yesterday. I looked down and they were holding hands. Too cute. Thank you. They melt my heart for sure. Thank you. We were out shopping and I looked down and they were holding hands. So cute. Travelling in style, they look very loving together. haha Style is the best way! 😉 They really do love each other so very much. I am so lucky. Thanks for hosting! That’s so adorable how they’re holding hands! I know I couldn’t believe it. 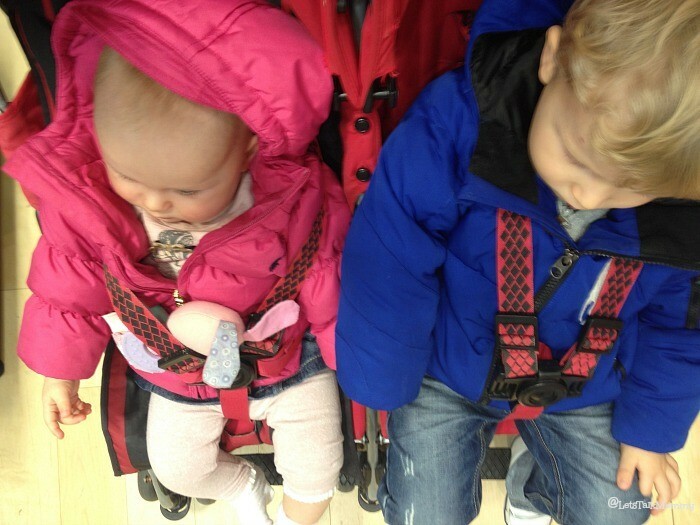 I was out shopping with them, looked down and they were both swings their legs and holding hands. Melted my heart for sure. Thank you Danny. They really are a team! How utterly lovely, my heart melts everytime my two hold hands or cuddle each other.